Following the service, food and fellowship will be shared at the funeral home. All who knew Delrene Preston would agree that there was no one who met her that was left unchanged. Gracious, kindhearted, and generous, she was the sort of person who would do whatever she could for those around her. A more devoted Mother would be hard to find. She faced challenges, and she took whatever came her way, head on, with both grace and courage. Deeply loved, Delrene will be forever missed by all whose lives she touched. Life during the 1930’s was anything but easy as the entire decade was cloaked in the hardship of the Great Depression. Jobs were scarce, which gave way to a soaring unemployment rate and countless American families left without homes. Despite the trials around them, Delmar and Lorene (Robinson) Bowron were able to shift their focus to an exciting time in their own lives as they announced the birth of the baby girl they named Delrene on July 16, 1936, in Bad Axe, Michigan. The older of two Bowron children, she was raised in the family home alongside her brother, Donald, who was three years younger. Their family shared a home with Delrene’s Aunt Marie and her family. She and her brother were close while growing up, instilling the love of family within her. In many ways Delrene experienced an upbringing that was typical for the youth of her generation. Her father was a barber while her mother was a hairdresser. Later on, they built a hotel, restaurant, bar, and hair salon called Lor-Del’s right on the M-53, which is the main corridor in Bad Axe. Delrene’s parents’ sense of entrepreneurship served her well later in life. Even at a young age, Delrene had a sense of fashion. For her senior prom she made her own dress that featured live roses sewn right into the gown. Delrene was also on the decoration committee for the prom, and with her natural ability and keen eye she made it a memorable evening for all who attended. 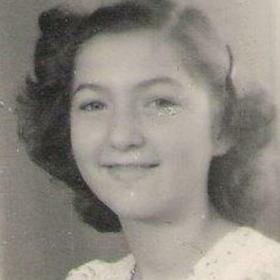 She went on to graduate from Bad Axe High School in 1954. New and exciting changes were in store for Delrene when she met the young man who would forever hold the key to her heart. He was a young man from nearby Caro named was Philip Preston, and they met at a dance in Cass City. 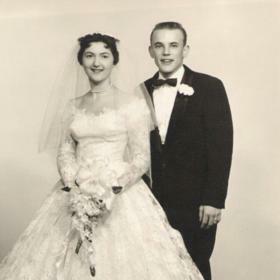 After a short courtship, the sweethearts were married on October 29, 1955, at a beautiful ceremony in her hometown of Bad Axe. The newlyweds then moved to Paw Paw to establish a Ben Franklin Store. Philip’s parents had owned a Ben Franklin store in Caro, so it was a business that was a bit familiar to them. Together Delrene and Phillip welcomed five children including Laurie, Tammy, Linda, Mark, and Jana into their hearts and home. She was a loving, nurturing, and attentive mother who was always there to encourage her children in whatever they were doing. Delrene stressed the importance of education and saw to it that each of her five children attended college. Even as her children grew older, she was there to support them, and she was so proud of who they became. 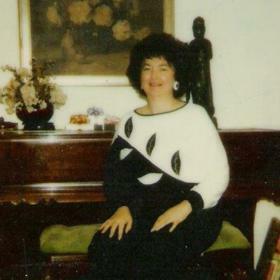 Delrene taught her children a sense of style as well as a strong work ethic and refined taste. She was thrilled when her children married, and in addition to her own wedding day she counted the days her children got married among the best days of her life. 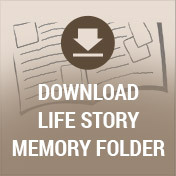 In addition to caring for her family, the store comprised a large part of Delrene’s life. They owned it for 32 years, and it was a family atmosphere with several longtime employees and was well known throughout their community. They sold anything from candy to fashion with Delrene serving as the fashion purchaser for the store. All of their children worked at the store, and through this experience they each learned the value of hard work and responsibility, as well as what it means to truly take care of the customer. Social and outgoing, the store was a great fit for Delrene, as she genuinely enjoyed the people of Paw Paw. Throughout her life, Delrene was one busy woman. She was guided by an unwavering faith, and she loved the Lord with all her heart. Delrene was active in the Methodist church where she counted the offering and sang in the choir. She knew the importance of church and made sure that each of her children attended as well. Delrene loved music and was thrilled to have had the opportunity to see Elvis Presley, Tom Jones, and Ann Margaret in concert. The Sound of Music was one of her favorite musicals, and she was known among her family and friends for her sweet tooth. Although her home was always well kept, she went the extra mile at Christmas to make things all the more special. No detail was left unturned as the tree was meticulously decorated and each present wrapped with picture perfect quality. The meal was unforgettable and the table was set properly, too, which made her family feel so special. All who knew Delrene knew that she was one of a kind. She was a first class lady who was always dressed for the occasion, and she taught her daughters this skill as well. Delrene did everything with grace and class, and although she appreciated quality she also knew how to be thrifty. Even when faced with multiple brain tumors beginning in 1975, she remained positive with a strong spirit to live.  Although Delrene experienced several tumors, each was successfully removed with surgery. Honest, creative, and graceful, Delrene Preston was an amazing woman. She had a great sense of humor but was also equally intelligent and gracious in everything she did. A friendly and outgoing person, Delrene touched so many throughout her life. 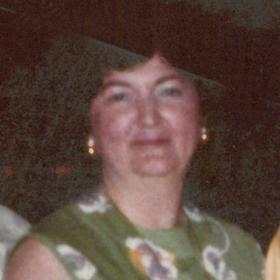 A more loving and attentive wife, mother, grandmother, and great-grandmother would be hard to find, and she had the special ability to make each member of her family feel uniquely loved. Life will never be the same without Delrene here, but she leaves behind a timeless legacy that her loved ones will proudly carry on in her footsteps. Delrene Preston, of Paw Paw, died on Sunday, December 3, 2017. Members of Delrene’s family include her 5 children: Laurie (Sam) Treadway, Tammy (Chris) Kilburn, Linda Preston, Mark Preston and Jana (Matt) Serbenski. Other members of her family include her 5 grandchildren: Krystle, Brandon, Sarah, Jack and Lee; 7 great-grandchildren; her brother, Donald (Ardene ) Bowron, cousins Marilyn Orlowski, Jerry Bowron and their families. Cremation has taken place and funeral services will be held at 11 a.m. on Saturday, December 9, 2017, at the Betzler & Thompson Life Story Funeral Home, 60900 M-40 Hwy; Paw Paw (269) 657-3870. 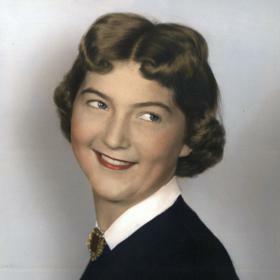 Please visit Delrene’s personal web page at www.BetzlerFuneralHome.com, where you can archive a favorite memory or photo and sign her online guestbook before coming to the funeral home. Memorial contributions may be made to the American Brain Tumor Association.